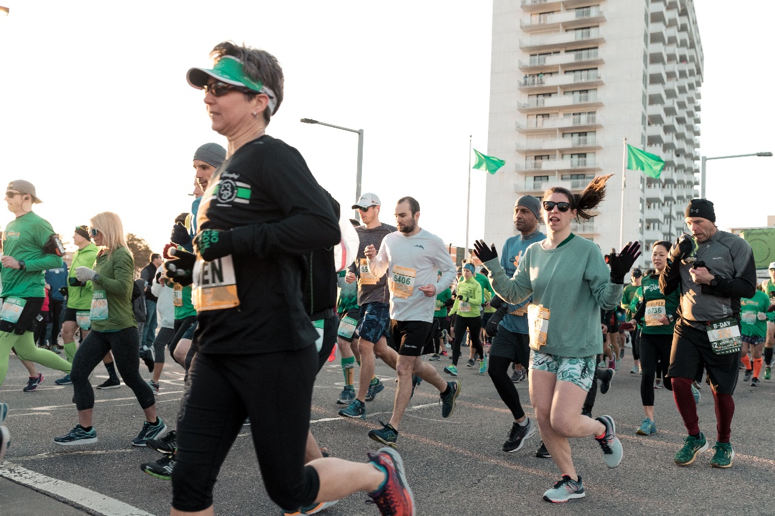 The Yuengling Shamrock Marathon in Virginia Beach is always one of my favorite weekends of the year. I have run the half-marathon for the past 13 years, and I love working alongside the J&A Racing team to contribute to an amazing cause while challenging myself physically. In fact, the Shamrock Marathon is where I was able to set my own personal record several years ago! Last year, we had the honor of introducing Golden Pilsner for the first time to the public at the Shamrock Marathon. It was the perfect place to debut our first core year-round product in 17 years. Golden in both name and color, Yuengling Golden Pilsner is the perfect balance of hop and malt character for crisp and smooth thirst quenching refreshment. My sisters and I, the 6th Generation of the Yuengling family, along with our brewing, sales, and marketing teams developed Golden Pilsner as a refreshing choice after a day of outdoor and social activity. It’s my go-to, whenever I finish a race and want to celebrate with something crisp and sessionable! This year, 30,000 runners from across the country attended the marathon weekend and it was great to meet so many fellow runners and Yuengling fans. 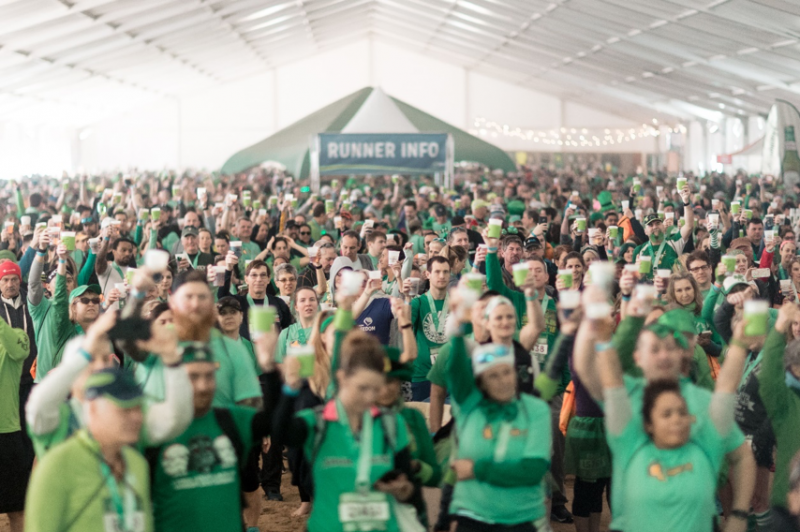 I had the opportunity to interact with numerous passionate fans and participants about what it means to be involved with the Shamrock Marathon, and how the weekend embodies the values we’ve celebrated at Yuengling as a family-owned and operated business for 190 years! I love how the marathon weekend, which started back in 1973, has grown to include events for runners of all skill-levels. Regardless of the distance participants run, there is always a massive finish line celebration filled with live entertainment and, of course, ice-cold Yuengling beer. Even if you weren’t able to join us for the Yuengling Shamrock Marathon this year, you can still participate in some of our other great races throughout the year, like the Sixth Annual Yuengling Oktoberfest 5K and the First Yuengling Gold Rush 5K Run/Walk. The Seventh Annual Yuengling Light Lager Jogger is now sold out is but you can still enjoy local food, music and Yuengling in our hometown of Pottsville, PA! The proceeds go to Operation Gratitude, a non-profit that, each year, sends 300,000 care packages filled with snacks, entertainment, hygiene and hand-made items to U.S. Service Members deployed overseas. We also hold a letter writing station for participants and fans to contribute to military care packages. It’s a personal touch and way to show your support for our troops who are overseas, and, I’m so proud to say that the Light Lager Jogger has raised over $60,000 for Operation Gratitude. I am also excited for Yuengling’s first Gold Rush 5K this year in Pittsburgh! The race will be held on Sunday, June 30th and proceeds will go towards Team Red White and Blue. Team RWB is an organization that Yuengling is honored to work with through our Lager for Heroes program. The program is focused on supporting and showing appreciation to veterans and their families through creating programs and providing financial support to various military organizations. 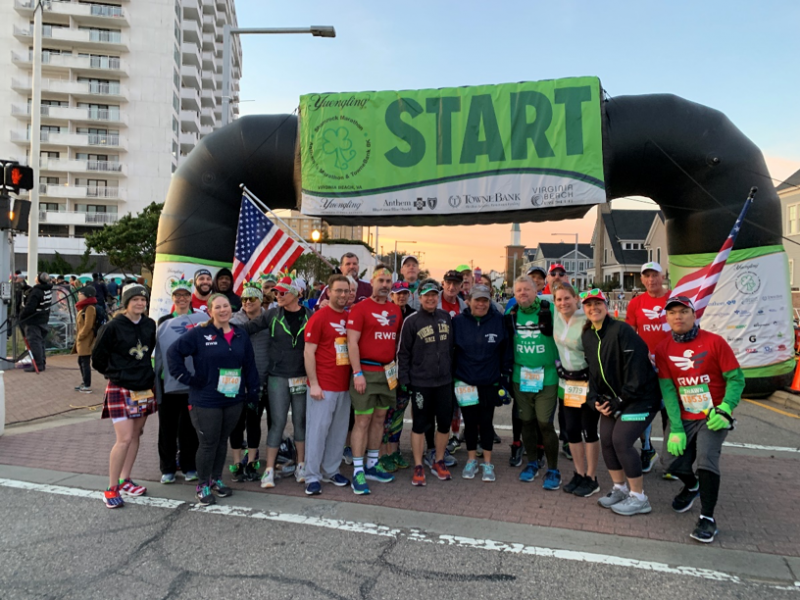 Team RWB does amazing work to enrich veterans’ lives through physical and social activities and it makes my family proud to partner with such a meaningful organization. I’ve run with Team RWB in the past, not only at the Shamrock Marathon, but also through the Old Glory Relay. This relay that passes the American flag through over 10,000 hands and 4,300 miles of cross country running. Regardless of your fitness level, I encourage you to check out any of the races Yuengling hosts throughout the year to support our community. And once you’ve crossed the finish line, make sure to reward yourself with a nice cold Yuengling Golden Pilsner. You can find more details about these races and more Yuengling news by signing up for our Yuengling Brew Crew, or following us on our Facebook, Twitter and Instagram.